The Canmore Artists and Artisans Guild (CAAG) was established in 1980 to advance the interests of artists in the Bow Valley. In the early years, CAAG was allotted gallery space over the library adjacent to the present-day Seniors Centre. The library was relocated in 1995 and CAAG was given wall space in the area then known as the Canmore Public Library Gallery. In 2012, CAAG changed its name to the Canmore Art Guild (CAG) and, in 2013, moved to its current gallery in Elevation Place. 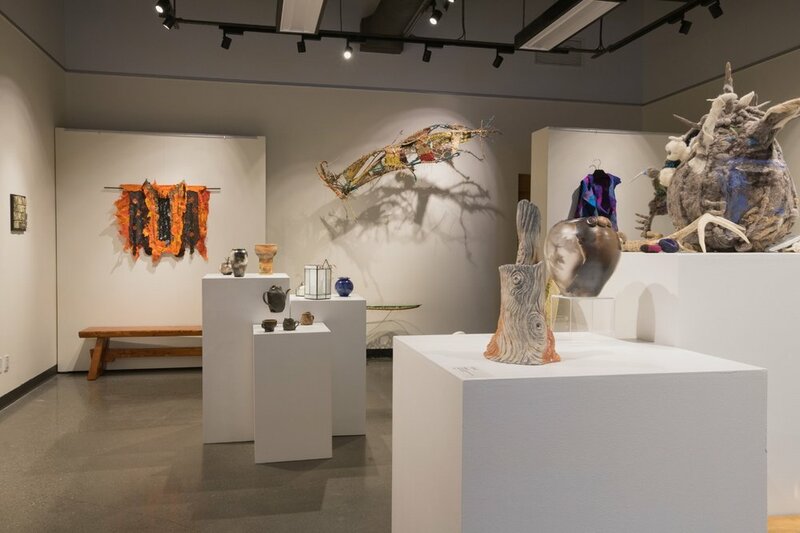 The mission of the Guild is to stimulate creativity in the visual arts in the Bow Valley and to provide opportunities for member artists to showcase their creative talents. Maintain a positive and supportive organization where artists can learn and grow. · Private shows where one or a few members may organize a show to exhibit only their art. Also, from time to time, CAG may host a travelling exhibit or an exhibit by another organization. CAG members meet on the last Monday of each month except July, August and December. Meetings are usually held in our Gallery if space permits. The meetings generally include a short list of administrative items followed by a discussion or presentation on an art topic. The Guild also organizes workshops, demonstrations and speakers from time to time.